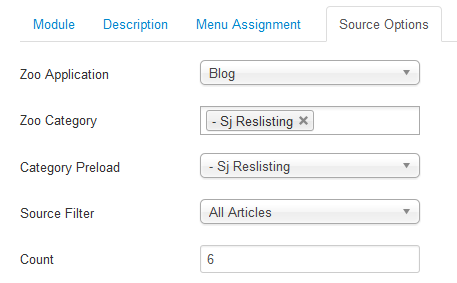 This guide will help you install SJ Responsive Listing for Zoo step by step. Zoo Application – Allow to choose Zoo Application. 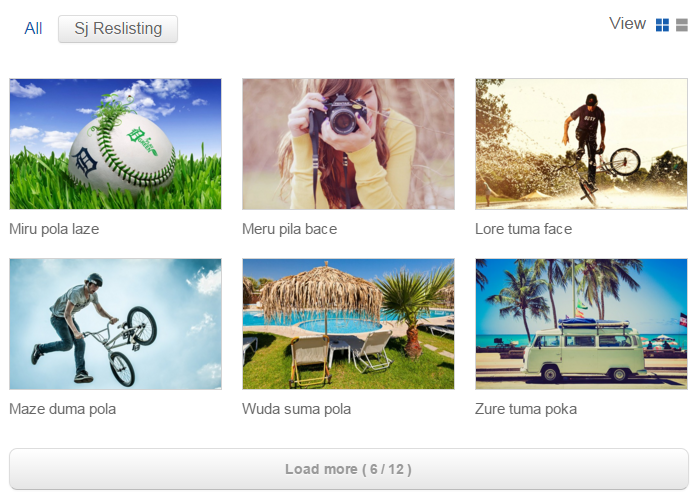 Zoo Category – Allow to choose categories show on fontend. Source Filter – Allow to choose type of Source Filter. 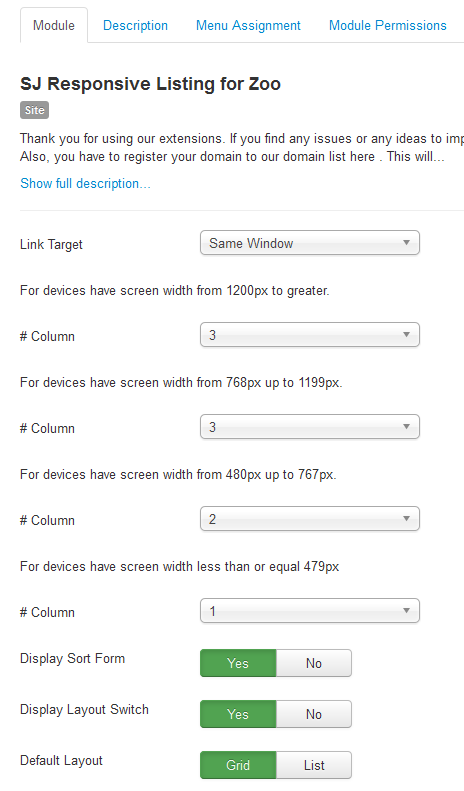 All Tab Display – Allow you to choose showing Tab OR not. Dispaly Related Articles – Allow to dispaly Related Articles or Not. 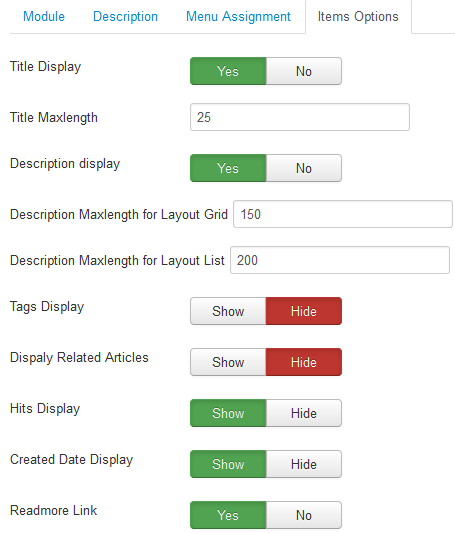 Category Title – Allow to Show/Hide Title of Category. Teaser Image – Allow to show Teaser image fulltext of Items OR not. 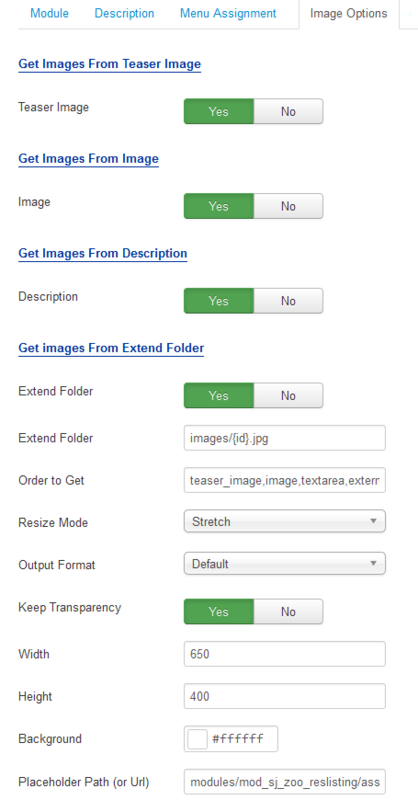 Image – Allow to show image Items OR not. 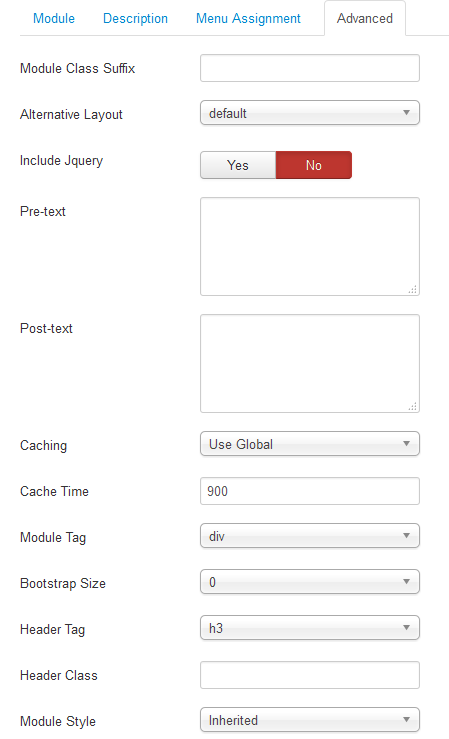 Description– Allow to show Description image of items OR not.